When real property is sold in Pennsylvania, a Wood Destroying Insect Infestation Report may be issued. Normally your Real Estate Agent recommends having the home inspection as well as a termite certificate done for the potential buyer. Some mortgage and title companies will require this report at the closing. This report is sometimes referred to as a W.D.I. report. 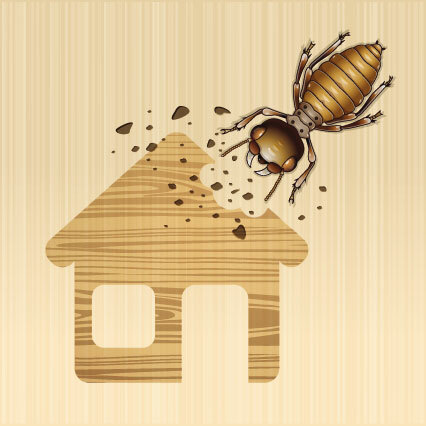 A Wood Infestation report may show whether the house has or has had an infestation of wood-destroying insects such as subterranean termites, drywood termites, dampwood termites, Formosan termites, powder post beetles, wood boring beetles or carpenter ants and wood decaying fungus.It also covers conditions conducive to an infestation of these organisms. Some of these conditions are: wood to ground contact, inadequate ventilation, crawl space drainage problems, faulty grades, etc. Oftentimes if a house has an active infestation of wood-destroying organisms, damage caused by these organisms or conditions conducive to the organisms are signs that corrective measures must be taken.